A home-cooked meal can awaken a joy unbeknownst to the unenlightened. We lead busy lives. There's always a task that occupies our hours or an event that engrosses our attention. The lack of time can contribute to our frequently buying boxed meals, pre-cooked fare, or fast food. By the time I'm done working a full day in the social media realm, concocting a delightful recipe for dinner is the last thing on my mind. Be that as it may, I always do it. A girl's got to eat. I often toy with the idea of giving in — getting a bean, rice, & cheese burrito or calling it a day with the chili ramen I have stashed in the cabinet for such occasions — but it's not the best or even the most practical option. Although I'd seen my fair share of meal delivery services, I was never inclined to invest in one. When Sun Basket* reached out to me to try their program, I was happy to give it a go. Perhaps it could be the answer to my prayers. 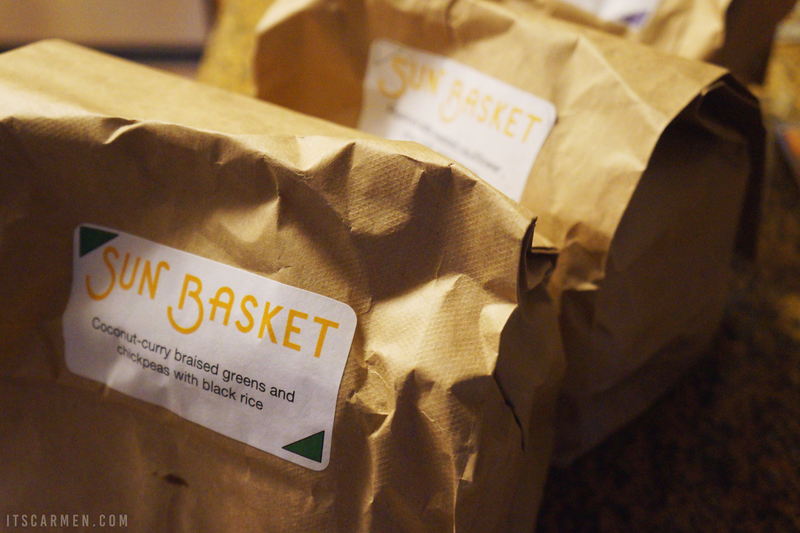 Sun Basket delivers portioned, organic meals conveniently to your door each week. Every ingredient you need is included, taking into account the amount required to successfully recreate each recipe. Their menu has vegetarian, gluten-free, & paleo options. 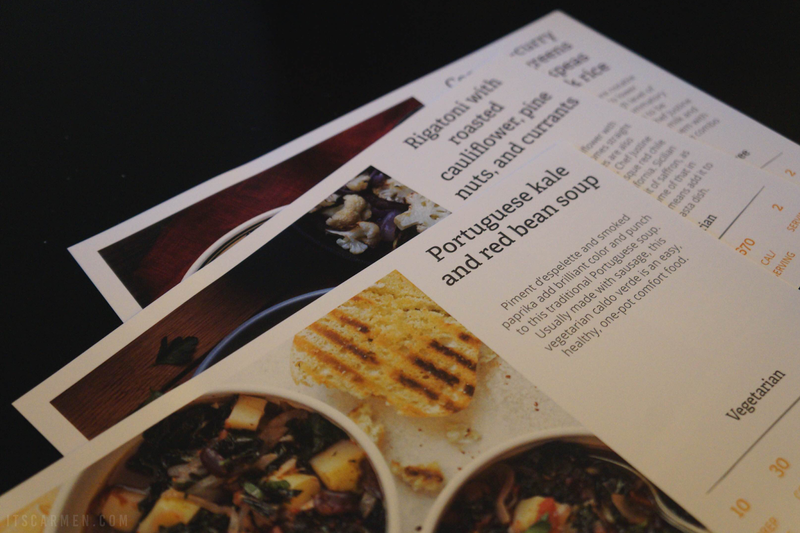 Simply follow the directions on the recipe cards & get cooking. 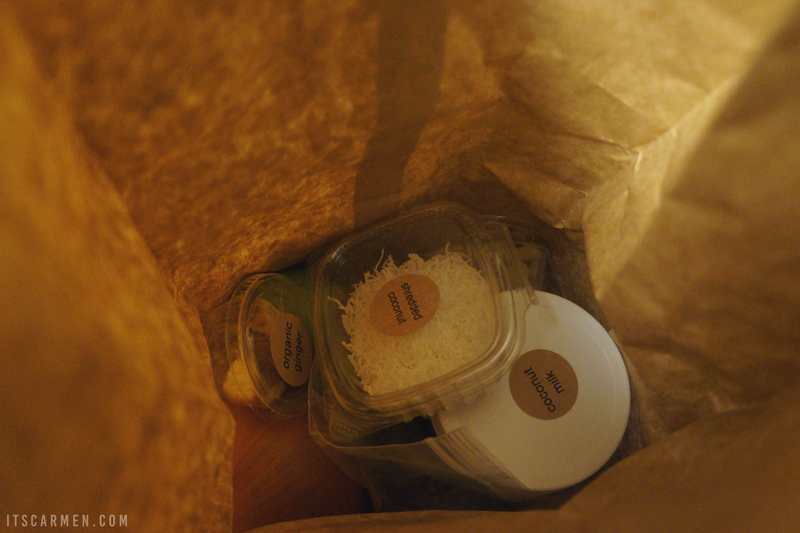 I received the two-person plan which entails three meals to feed two people — six servings. Normally, this particular plan costs $11.49 per meal per person or $68.94 each week. For comparison, I went out for Thai food & my meal cost $11.28; Sun Basket's pricing is on par with the average meal out. The three vegetarian meals I received were: Portuguese kale & red bean soup, coconut curry braised greens & chickpeas with black rice, & lastly, rigatoni with roasted cauliflower, pine nuts, & currants. 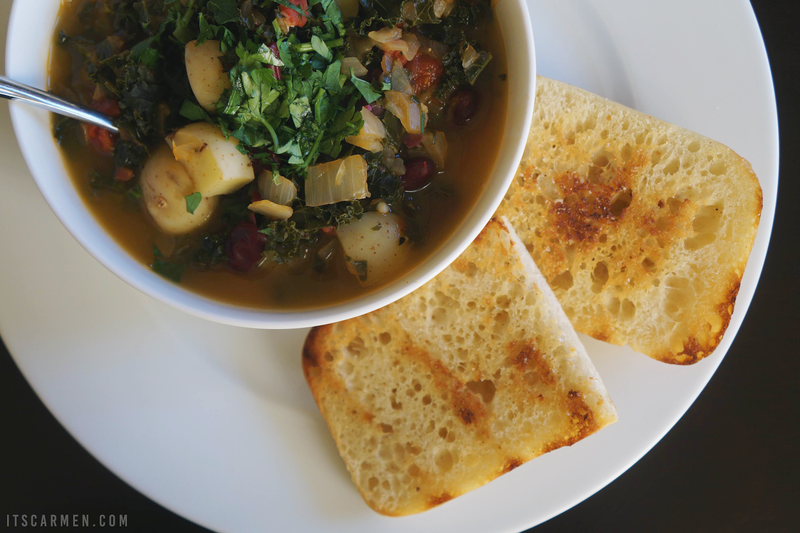 The Portuguese kale & bean soup was flavorful, full of texture, & very filling. The kale added robust flavor & vibrant color to the soup. 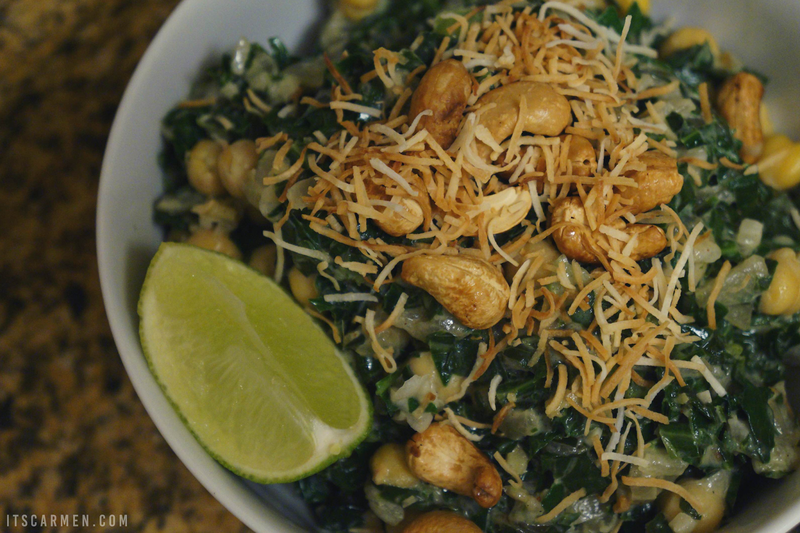 The coconut curry braised greens & chickpeas with black rice was extremely filling. I ended up saving half of my portion to eat for lunch the next day. I'd like to integrate the forbidden black rice into my food cabinet. It's way good! 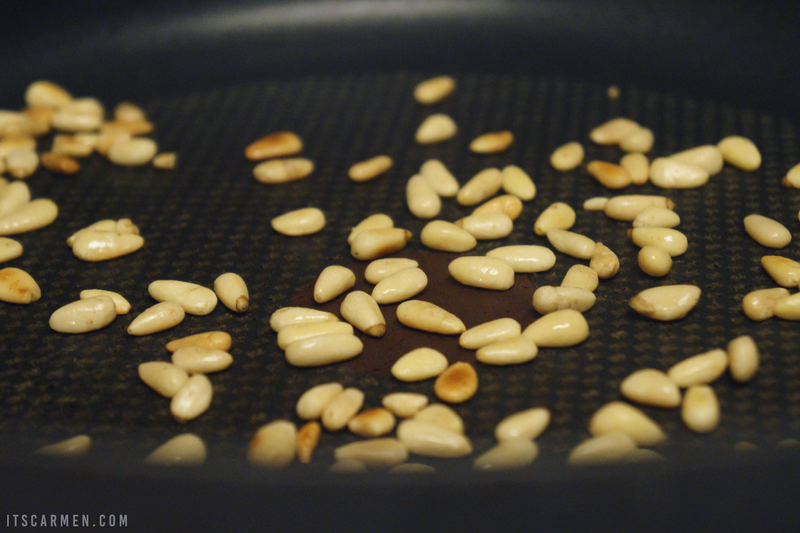 Toasting the coconut created a powerful & seducing aroma to waft from the kitchen. 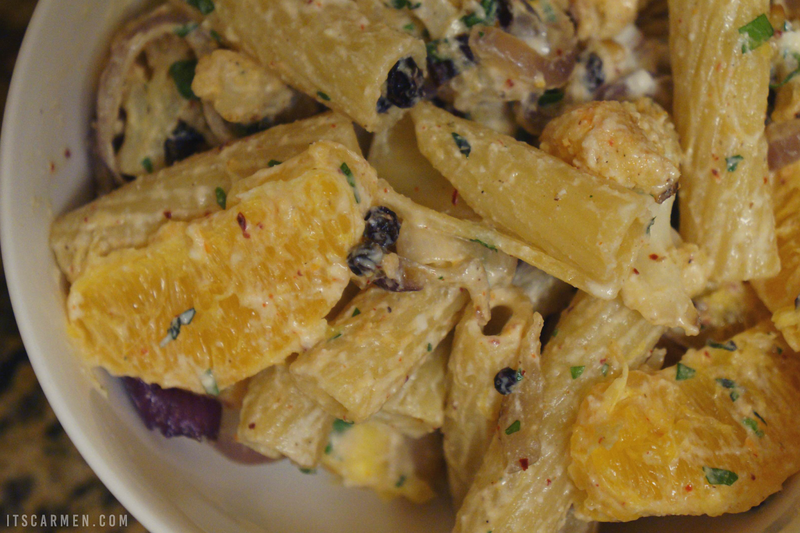 I had the most fun making the rigatoni with roasted cauliflower, pine nuts, & currants. Fred & I worked simultaneously to prep the meal & assemble it accordingly. The rigatoni had a harmonious combination of flavors & textures. It felt indulgent & satisfying. Sun Basket allows you the opportunity to create a fun bonding experience with your family or whoever helps you create the meal. You get quality time together to concoct tasty grub. 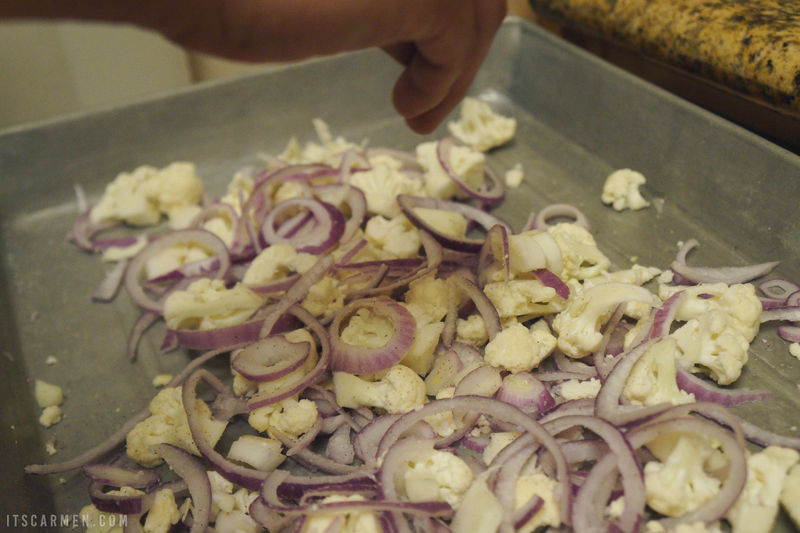 Having the ingredients right there, perfectly portioned, is an unbelievably blissful feeling. There are no questions about what to make. 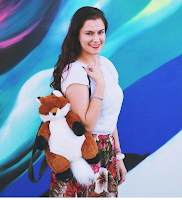 There's no fretting about having to frantically trek to a grocery store. It's literally all right there: ingredients, step-by-step recipes, & all. Meals were 100% delicious, fresh, unique, & a joy to make. While Sun Basket does allow you to choose your meals for the next week, as a vegetarian, I had no choice. There were only three meals for me. Meals are nutritionist-approved, but recipes range from 500 to 800 calories per serving. The rigatoni was gloriously & gratifyingly good, but the 800 calorie tag weighed down on my parade. The recipe card claims most meals can be made in 30 minutes, but I found it leaned toward 45 minutes. The nearly $70 per week price tag may not be the most feasible choice for those on a budget. I'd love to see more meat-free options available so I can choose my meals. The cost may not be the most economical, but it's the same as an average meal at a restaurant. I eat out maybe once a month, so the Sun Basket pricing doesn't work for me on a regular basis. It is, however, something I would invest in every once in a while for a romantic three meals, like the week of our anniversary or another fun occasion. Sun Basket is an easy way to have bonding time with your loved ones without the hassle of choosing from a sea of recipes & then venturing out to purchase all the necessary ingredients. Sun Basket is a fantastic deal if you find yourself going out to dinner each week. The $68.94 price tag can be justified by the cost of the ingredients, the convenience of product delivered to your door, the time saved at the grocery store, the ingredients portioned to ensure nothing goes rotten or forgotten, & the ease of a pre-determined recipe at your fingertips. I wouldn't purchase this on a regular basis, but it's something I'd be willing to buy a handful of times per year. What about you? 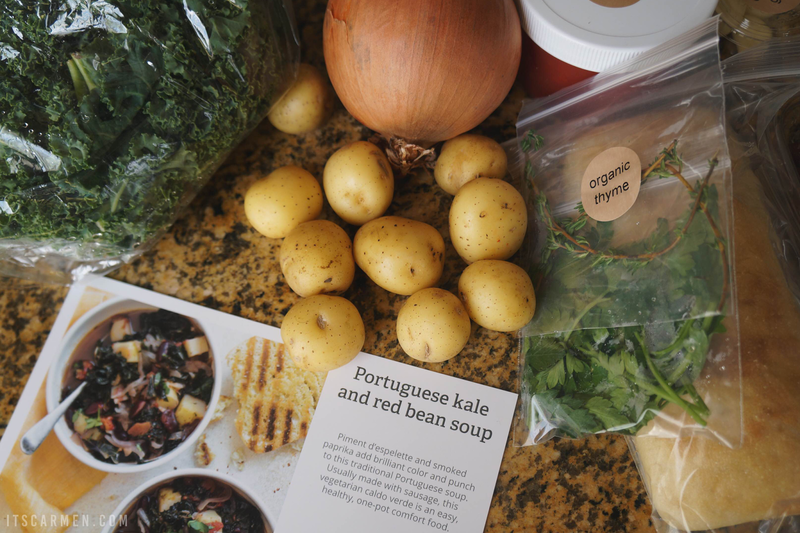 Have you ever tried a meal delivery service? What do you think of Sun Basket & its meals? On paper Sun Basket at sounds like such a perfect service! It's too bad there are a few issues, but I feel like it would be a great option to substitute the meal out with. The food you two made looks delicious! And the recipes look really interesting and diverse as well. As a vegetarian as well, I also find the lack of vegetarian options to be an issue with these sort of packages. I absolutely love the idea behind this, but I also don't really want to eat the same thing over and over. Hopefully companies will start to realize that and make a change. As lovely as Sun Basket sounds on paper I can see why you´ve noticed a few issues. As you said, I think it´s a great service for a few times a year or on special occasions otherwise the price tag really is heavy. I don´t think it´d be something for me though as I can´t eat anything with dairy in it due to an intolerance, so paleo would be the only option for me. However, the meals look delicious on your pictures here and your descriptions have my mouth watering. You've got me getting hungry! Hey there! First of all thanks for the comment on my blog! This Sun Basket looks lovely, I want to get one by the way :p, who says you have to sacrifice taste when it comes to healthy food? There are a lot of options in this world to eat! These sound (&& look) like they were AMAZING! I've never gotten SunBasket specifically but I have gotten Plated before & absolutely loved it. Thanks for sharing! They give whatever spices needed for the meal too. That's great. I think Blue apron gives the same services. Nice review! everything looks so good but I agree, not the cheapest and the options are limited! It sounds like such a neat idea! I have never tried a similar delivery service but have always heard positive reviews on them. It's a nice treat from time to time but especially helpful if there is a situation when people aren't able to cook for themselves. Hope they will broaden their vegetarian range. Great review, girlie! Great service although, a bit pricey. The food looks absolutely delicious though. Love Sun Basket!!! Great to hear another perspective - I totally agree about the vegetarian options and pricing. Great post, I love it, seems very handy for people who do not have so much time, thanks for sharing!!! I've been wanting to try Sun Basket...the kale and red bean soup sounds SO good! I think I, like you, might have a bit of trouble with the lack of choices that address my dietary restraints, but it is still definitely worth a try! Wow looks yummy and healthy too. Sharing! I've been eyeing this prepared step by step meals you can cook at home for a while now. Like you my only hesitation is the overall price and the variety of meals offered. I am currently trying to switch over to a more vegetarian/vegan lifestyle and it ends up being cheaper if I get everything myself. The only thing is I hate slaving over my kitchen stove for hours preparing a meal. This meal plan you tried does look tasty though! Let me know if you find other companies like this that you end up absolutely loving! The rigatoni and curry look amazing. I love these options. Yum, that looks good! I do wish places like that would consider special diets like vegetarian, vegan, gluten/dairy-free, etc. I would order from more!